I studied art history in the early 90s at the Stockholm University and wrote an essay on the graphic programmes of Scandinavian modern museums. The following year I spent a summer at the Rhode Island School of Design in the US studying graphic design. Using the portfolio I created at RISD I was admitted to Konstfack. After graduating and spending one summer at Parsons School of Design in New York, I spent a year in London working at one of the more adventurous and creative dot-com ventures boo.com. Dalí Dalí featuring Francesco Vezzoli, Moderna Museet/Steidl. 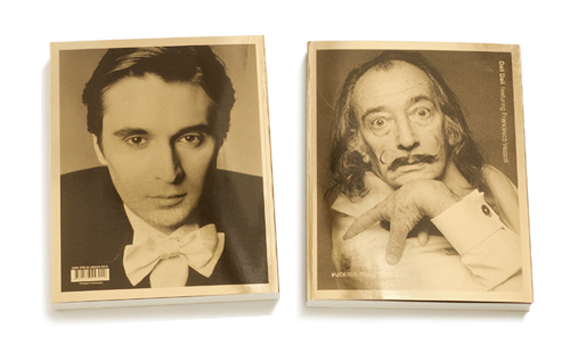 I wanted to make something totally different from the more standard publications about Dalí. This catalogue was the bestselling catalogue Moderna Museet had up to that point. You founded your studio BankerWessel together with your husband Jonas Banker in 2002, can you tell us a bit about your collaboration? Jonas started out as an illustrator. My focus was on typography and art direction. After returning from London, we felt we could make more original work combining our skills. Jonas changed his style all the time, and he was a great person to art direct whenever I needed more elaborate graphics to work with. We were in our early thirties and wanted to raise a family. At that point we just felt like we didn’t want to »compete« over whose career was the more important one. It was better to aim for the same goal at work and share everything at home. As a family business, I think we’ve ended up being quite adaptable and time-efficient. The downside may be that all we ever talk about is kids, design and business. 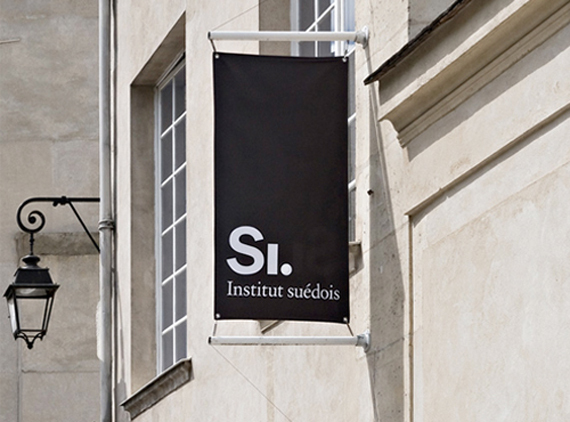 The Swedish institute. This was one of my very first commissions in 2002. I was supposed to update their existing logo but convinced them to change it completely. Why do you think so many women choose to start their own studios? I can only speak for myself. 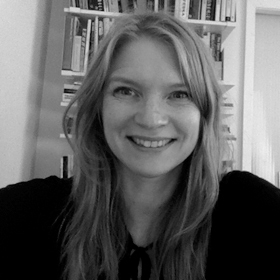 When I started out in the late 90s, I didn’t have any female designer role models, and I was afraid to get stuck in a structure in which no woman had advanced before me. I felt it was really important to do everything I could to stay independent and be sure to get credit for my own work. But to be honest, I was also afraid I wasn’t good enough, which is quite sad when I think about it today. What makes a good art director/graphic designer do you think? I think playfulness is underrated — it’s a skill. It’s so much more than adding colour and fun shapes. I think designers that can combine playfulness with experience can come up with really innovative and original work. I also think good art direction or graphic design have to be visually strong and shouldn’t need to be explained. I admire designers that manage to stay true to themselves and use their own empathy as a tool to come up with great results. Fotografiska. We’ve worked with Fotografiska from the very beginning in 2010. 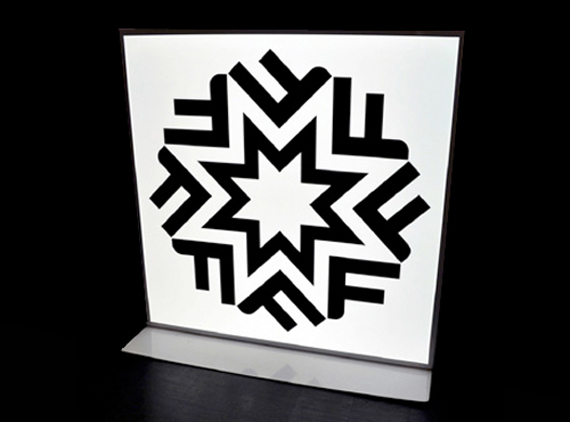 We made the logo and the graphic programme and have developed it in various ways. What do you think women can do to create a more gender equal industry? I think we should focus on the quality of the end-result. Do we think the industry is producing the very best work today or not? I think there is a high tolerance for uninspired work out there. I think a lot of that is due to the fact that the industry isn’t a fair representation of who is actually out there. The standards need to be raised and clients should stop paying for generic results. It’s sometimes said that women contribute a different »angle« to the industry. I think we need to go so much further. We need to start taking our own interests and feelings seriously and claim credit for our own work. Instead of trying to adapt and »contribute« we should create whole new playgrounds and collaborations that actually inspire us. Basically it’s about keeping out of the mainstream and finding our own ways to create and deliver amazing work. A lot of women are doing this already with very successful results. I also think we should consider why we continue supporting structures that don’t give us our fair share of fun and credit in return. It’s not about the question of whether or not we can do the job. We must instead ask ourselves: »Are we letting men have more fun?« I think we all do without even thinking about it. We all have the same right to be inspired and claim our 50% of the fun out there. David LaChapelle »Burning Beauty«. 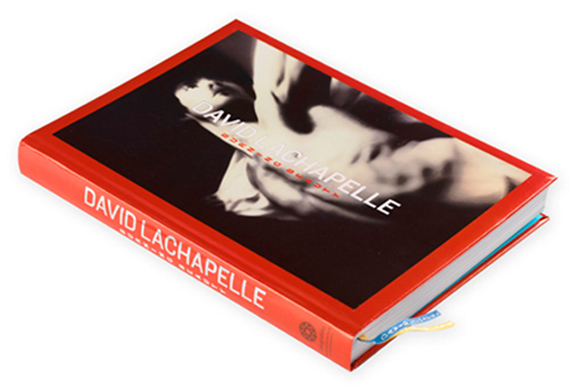 Publication for the David LaChapelle exhibition at Fotografiska in Stockholm. I named the exhibition after the sonnet »Beauty and the Artist« by one of David’s role models – Michelangelo. … and what can men do? It comes down to this: getting a little more support, money, credit or commissions than you deserve is fun and inspiring and builds confidence — getting a little less of those things has the opposite effect. Feministiskt intitiativ, F!. 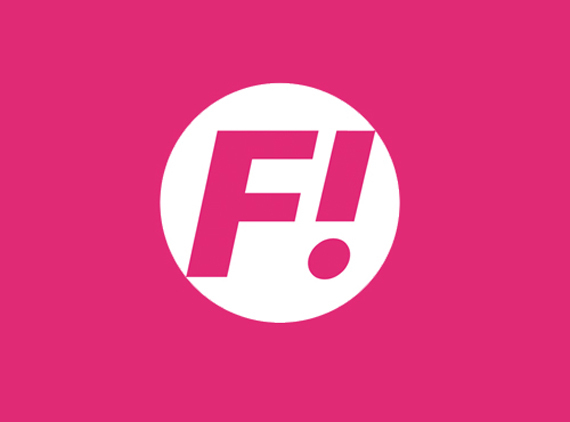 Logo for for the first feminist party in Sweden. I made this over a couple of weekends. I started out with a flower, but Gudrun Schyman, one of the founders, said it should be »like a woman of two meters who still wears high heels,« and I ended up with the F!. Working for 12 years, do you have a different approach to your work today than when you graduated? I’ve realised the importance of having fun and being inspired. I just think that’s what makes your own life good and that is the best guide. I’ve tried to stop judging myself too harshly as it’s just counterproductive. It made me less courageous and made both myself and my work boring. Now I see having fun as being a sort of »airbag« between myself and my work. If something goes wrong at least I know I had the guts and had fun along the way. I can also see that working hard pays off. My experience is that great work and accomplishments will speak for themselves, and are unbeatable on any level, no matter who’s behind it. 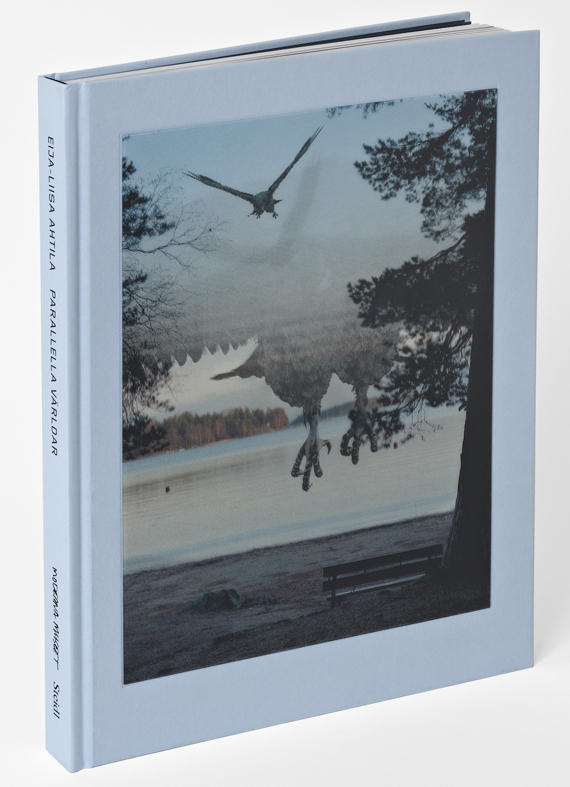 Eija-Liisa Ahtila »Parallel Worlds«, Moderna Museet/Steidl. Publication with a lenticular cover in collaboration with the artist. Video-stills are very difficult thing to reproduce. I wanted to have the chance to work with an animated cover.